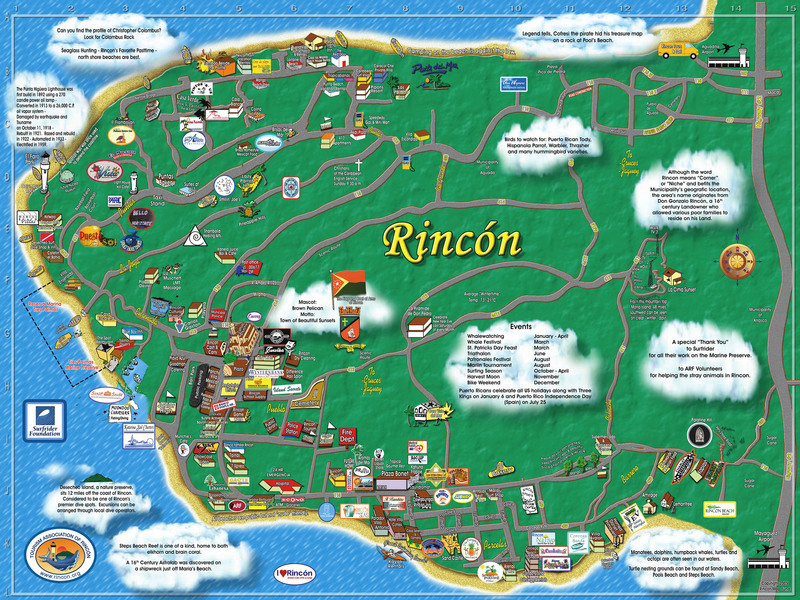 To get to Rincón and get around easily once you arrive, you’ll want to rent a car at the airport — it’s best to make car reservations ahead of time, especially during high season (winter). Make a left out of airport parking and another left at the stop sign onto Route 107 South. By the fourth traffic light you need to be in the right lane and enter Route 2 South. Stay on Route 2 South until you reach Route 417 West (there is an overhead crosswalk, so you can’t miss it!). Make a right onto Route 417 West and go 1.6 miles to the traffic light (cemetery is on your right). At the cemetery several roads merge. Take Avenida Nativo Alers (the sign is in the middle of the fork — take the left road). You are now on the bypass around Aguada. Go 1.5 miles and turn left when the road ends at Route 115. 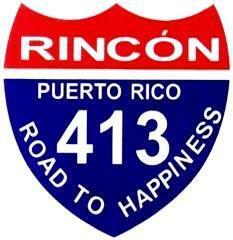 Take Route 115 South; Rincón is approximately 6 miles away. There are two intersections with Route 413, which is a loop. DO NOT take Route 413 at the first intersection — instead keep going until you hit Route 413 again. Turn right onto Route 413 and drive approximately 600 yards, until you see a couple of high-rise buildings on your left. Make a left, then another left. The condo apartment is in the second building. As you exit the airport, stay in the right lane and take Route 26 West toward San Juan and Isla Verde. Move to the left lane and follow Route 26 to San Juan. Exit right to Route 22 (the 1st sign for the exit reads “Hato Rey, Bayamón and Caguas”; the 2nd sign reads “Rt 18, Rt 22, Bayamón, Caguas and Río Piedras”). Go through the Minillas Tunnel. Stay on Route 22 West (toward and past Bayamón) until it ends in Hatillo/Arecibo. Take the left lanes and merge into Route 2 West. Stay on it until you reach Aguadilla. In Aguadilla, you’ll pass a baseball stadium on your left. Stay on Route 2 (now bearing South) until you reach Route 417 West (there is an overhead crosswalk, so you can’t miss it! ).